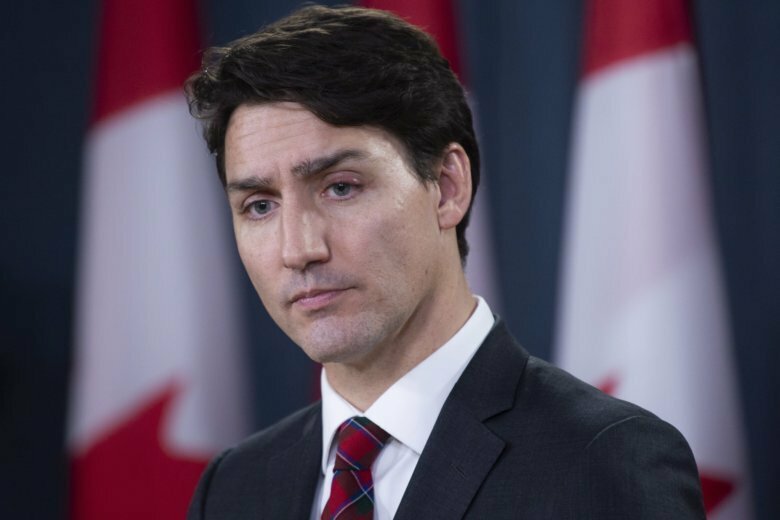 TORONTO (AP) — A third Canadian has been detained in China, although Canada’s prime minister said Wednesday the case doesn’t seem to be linked to the previous two that appear to be retaliation for Canada’s recent arrest of a top Chinese tech executive. Prime Minister Justin Trudeau also said he didn’t want to escalate frictions set off by the executive’s arrest. Nine days later, the Chinese secretly detained two Canadians on vague suspicions of “engaging in activities that endanger the national security” of China. Beijing didn’t allow Canadian officials to see Michael Kovrig, a former diplomat in China, for four days and Canadian entrepreneur Michael Spavor for six days. Meng is out on bail in Canada. But the third Canadian detained doesn’t seem to fit the pattern of the two previous ones, with no national security charges listed, Trudeau said. He raised the possibility of it being a visa issue. “There are tens of thousands of Canadians that live, travel and work in China,” Trudeau said at a year-end news conference. The government declined to provide more details, but opposition Conservative lawmaker Erin O’Toole said the case involves an Alberta woman who has been teaching in China for months and has indeed been held over a visa irregularity. O’Toole said a fellow Conservative lawmaker relayed the information to Canada’s foreign minister. Asked at what point he might escalate his concerns to China’s president, Trudeau said political posturing or statements are not necessarily going to help those detained. David Mulroney, a former Canadian ambassador to China, said it would be highly unusual if the third arrest is a coincidence. “It’s possible but I find it unlikely,” he said. The detention of Meng set off a diplomatic spat in which Canada is stuck in the middle. President Donald Trump complicated matters by saying he might intervene in the case if would help clinch a U.S. trade agreement with China — much to the consternation of Canadian officials who said the arrest was not political and they were just following their extradition treaty obligations. Roland Paris, a former foreign policy adviser to Trudeau, said the Trump administration should recognize the importance of countering Chinese efforts to pressure Canada over the extradition of an individual wanted by the U.S.
“What is the United States doing to help gain the release of two Canadians — and now potentially a third — detained by China in apparent retaliation for Canada’s lawful arrest of Ms. Meng? Washington should be using its considerable leverage to support Canada,” Paris tweeted.